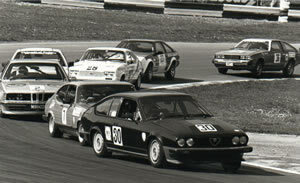 1984 Uniroyal Production Saloon Car Championship, Norris Miles, Alfa Romeo GTV6. 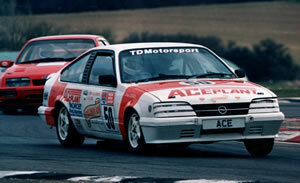 1986 Outright and Class B wins in Thundersports ‘86, Chester Wedgwood and John Morrison, Tiga TS85. 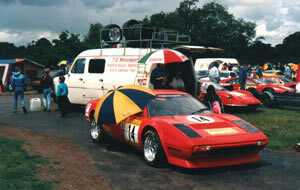 1987 Maranello Ferrari Challenge, First in Class O2 Championship, John Wilson, Ferrari 308 GTB. 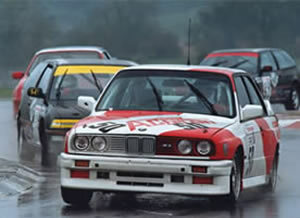 1988 First in class B Firestone Production Saloon Car Championship, Frank Cundell, BMW M3. 1989 5th overall, 3rd in class B, Willhire 25 Hour Race, Snetterton, Frank Cundell, John Wilson, Rod Birley, BMW M3. 1989 First in class B Firestone Production Saloon Car Championship Frank Cundell, BMW M3. 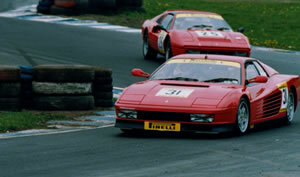 1990 Second overall, Maranello Ferrari Challenge, John Wilson, Ferrari 308 GTB. 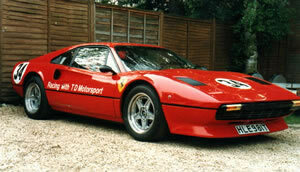 1990 First overall from pole position, Macau Supercar Race, John Wilson, Ferrari 308 GTB. 1991 8 pole positions and 7 wins from 9 starts culminating in winning the Maranello Ferrari Challenge Trophy for John Wilson, and the Stirling Cup for TDMotorsport. 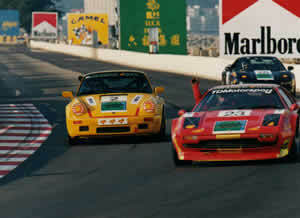 1992 First overall, Macau Supercar Race, John Wilson, Ferrari 308GTB. 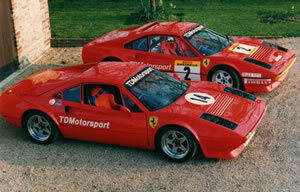 1992 Maranello Ferrari Challenge winning constructors for Robin Mortimer,Ferrari 308 GTB. 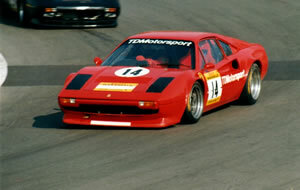 1993 Second overall Maranello Ferrari Challenge after three wins for George Christopher, Ferrari 308 GT4. 1993 First overall Maranello Spa round, Adrian Walker, Testarossa. 1993 Four overall wins in BRDC Production Car Championship, Frank Cundell, BMW M3. 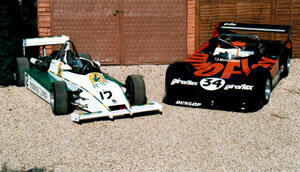 1994 Two overall wins in BRDC Production Car Championship Frank Cundell, BMW M3. 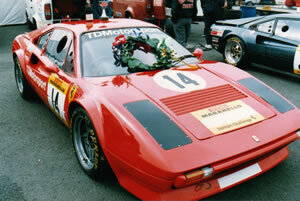 1994 Maranello Ferrari Challenge Trophy for George Christopher, Ferrari 308 GT4, and Stirling Cup for TDMotorsport. 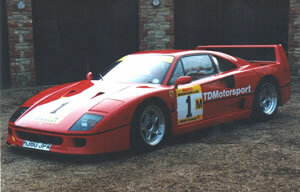 Re-designed and race engineered theSaleenAllen Speedlab UK based Global GT cars which won the 1996 World Challenge GT Manufacturer's Championship. Out pacing the factory Mustangs at Daytona in 1997 by 4 seconds a lap. 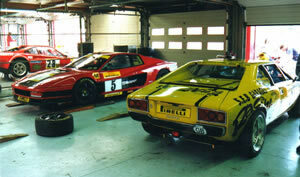 1998 Second and third in Maranello Ferrari Challenge M class Andy Christopher, 308 GTB, and George Christopher, 308GT4. 2012 First overall and first in Group One, Bute GT Cup with Derek Johnston, Ferrari 458 Challenge GT, preparation by Graypaul Ferrari, Race Engineering and mods by DTM Power.